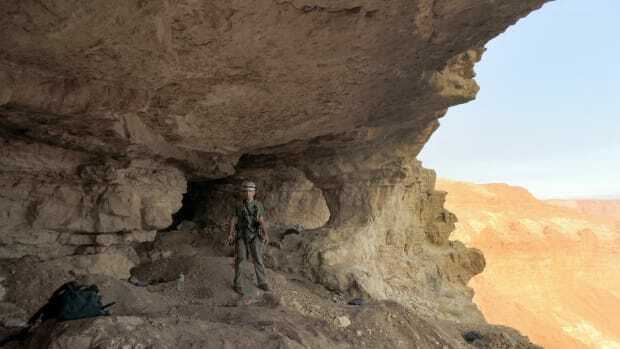 Archaeologists have announced the discovery of a 12th cave associated with the famed ancient Dead Sea Scrolls, the first such site to be excavated since 1956. Though Bedouin shepherds first discovered the Dead Sea Scrolls in Khirbet Qumran on the northwest shore of the Dead Sea, in late 1946 or early 1947, official excavations of the Qumran caves didn’t begin until the 1950s. 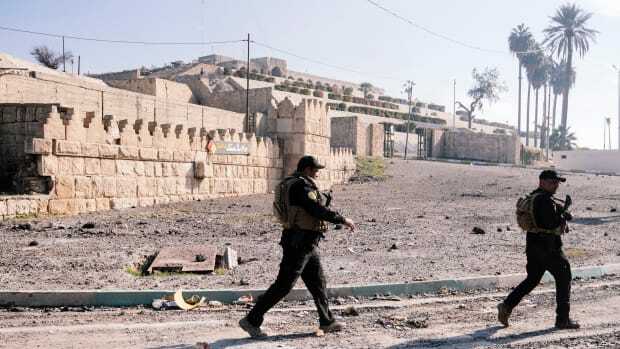 By that time, looters had already gotten to the caves and removed many of the priceless ancient scroll fragments. 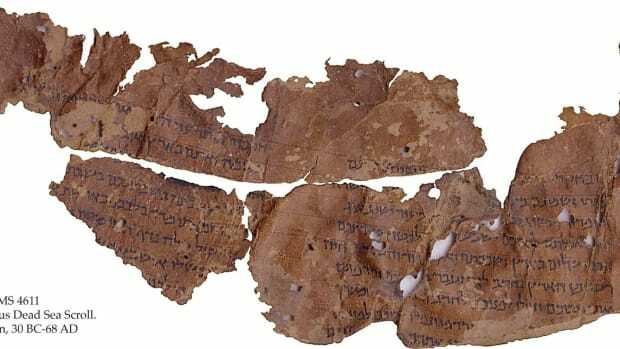 Thousands of Dead Sea Scroll fragments, from more than 900 manuscripts, have been recovered from 11 different caves at Qumran, but only a relatively small number of those fragments were found during organized excavations. 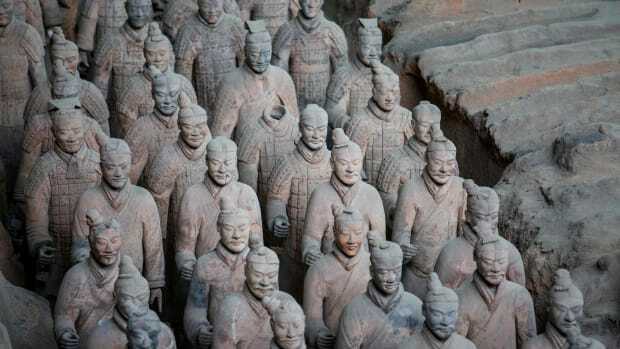 Over the past 15 years, researchers noticed an increasing number of what they believed were scroll fragments appearing on the private art and antiquities market. 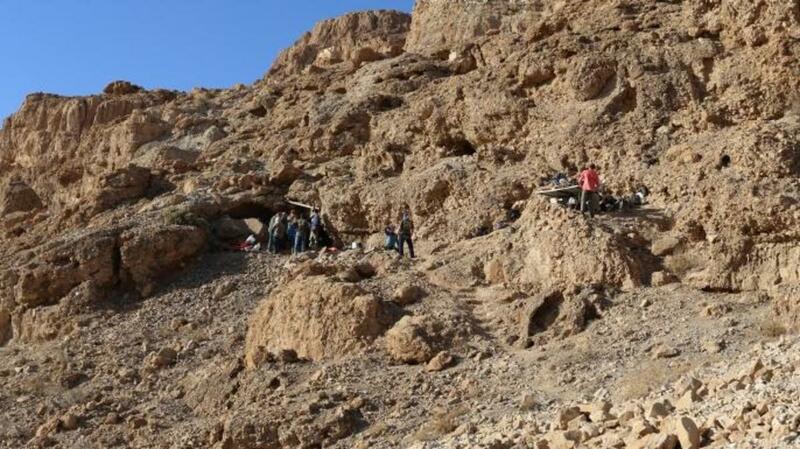 Though many of the examples on the black market appeared to be fake, this resurgence prompted the IAA and researchers to begin their own survey of all the Qumran caves. 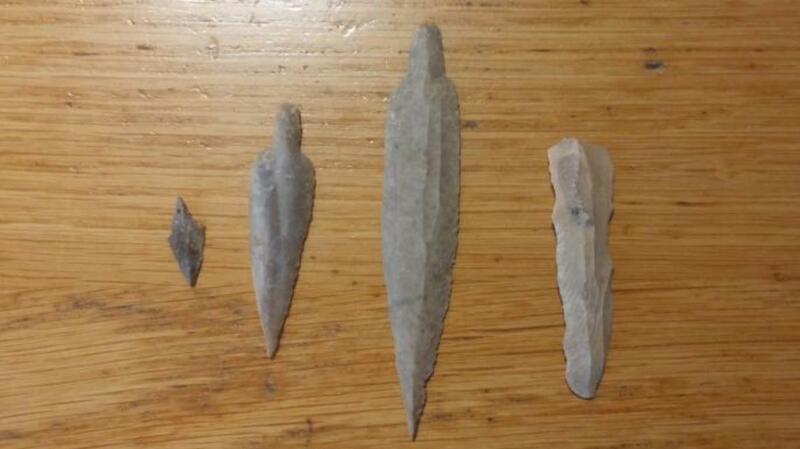 At the same time, IAA authorities were apprehending a growing number of artifact hunters attempting to enter those caves, another development that led them to speed up their own excavations. In a particularly striking find, the archaeologists carefully extracted an unbroken storage jar. Inside was a relatively undamaged scroll. The team rushed it to the conservation lab at Hebrew University, where it was painstakingly unfurled in a protected environment. 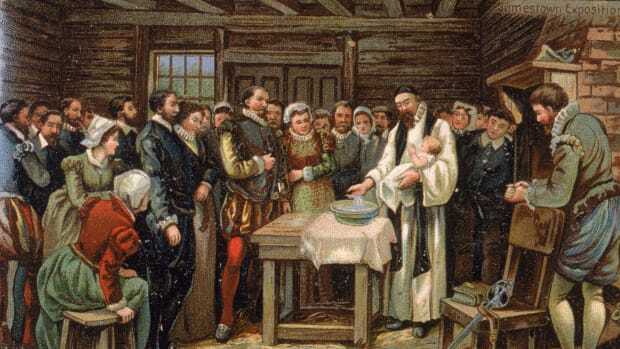 The scroll had no writing on it, and the researchers believe it was placed in the jar in order to prepare it for writing. Beyond the entrance, the roof of the cave appeared to have caved in. Proceeding with caution, the archaeologists discovered the cave-in had most likely been intentional, as it hid a tunnel measuring some 16-20 feet in length. 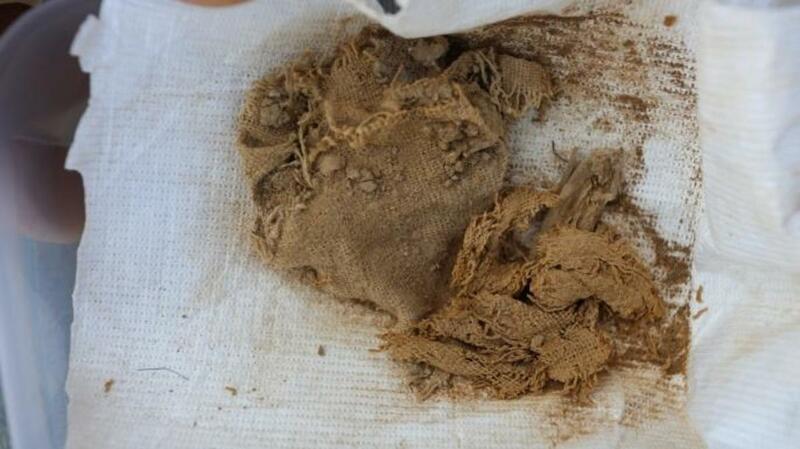 Inside the tunnel, they found more broken jars and lids, along with fragments of cloth wrappings, leather and string that they believe were used to bind the scrolls within the jars. Deep inside the tunnel at the rear of the new cave, the researchers found a pair of rusty pickax heads. 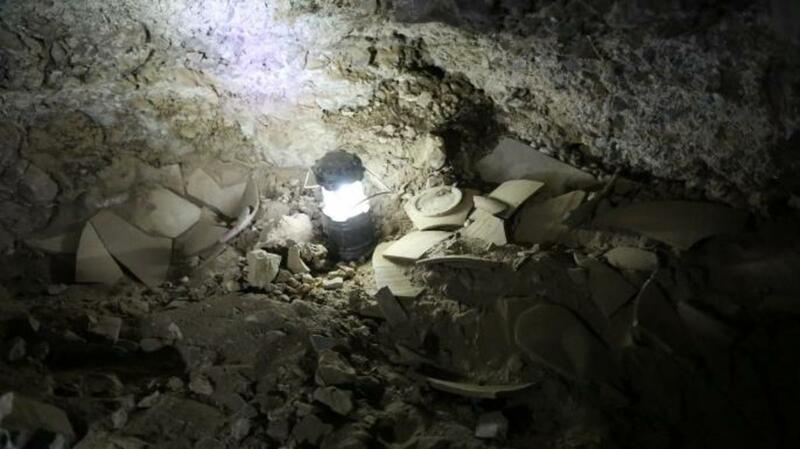 Their findings support the longstanding theory that looters ransacked the cave back in the 1950s, stealing the Dead Sea Scrolls themselves. 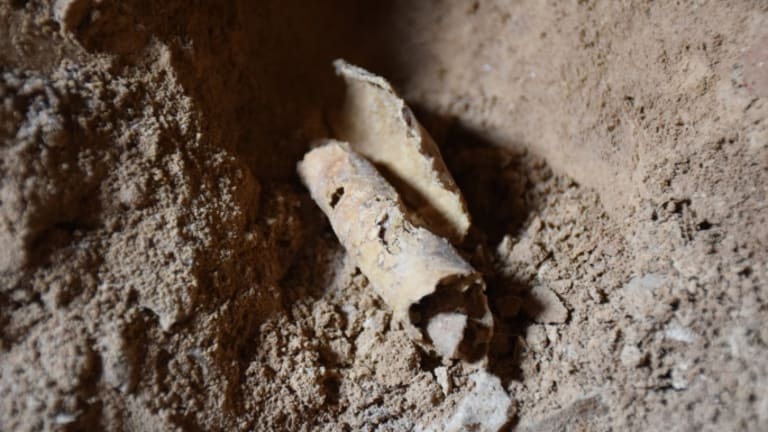 In addition, the discovery of the ancient blank scroll certainly sheds some light on how high-quality forgeries of the Dead Sea Scrolls might be making their way onto the black market. The parchment recovered from the new cave will help experts assess fragments that come up for sale in the future. Controversy has hovered around the excavation of Dead Sea Scroll sites, as Qumran is located in the West Bank, a territory Israel won from Jordan during the Six-Day War in 1967. 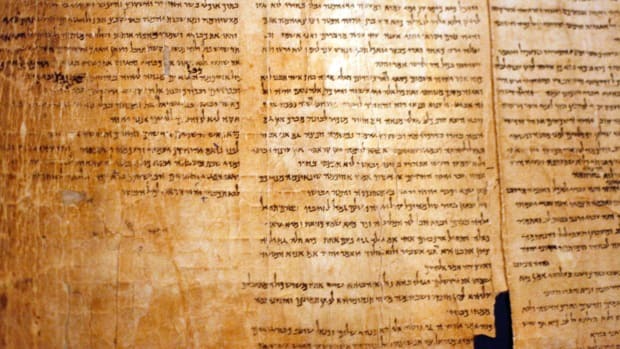 Jordan has asserted on different occasions that it is the rightful owner of the Dead Sea Scrolls. Palestinians (and the United Nations) consider the West Bank occupied territory, and Israel signed a convention in 1954 that forbids excavation and removal of “cultural artifacts” by foreign occupiers. In any case, it seems highly unlikely that Israel will surrender its claim to what are believed to be the oldest written examples of the Hebrew Bible.